Established in 1995, Premier Gate Automation is highly experience and respected gate automation company. 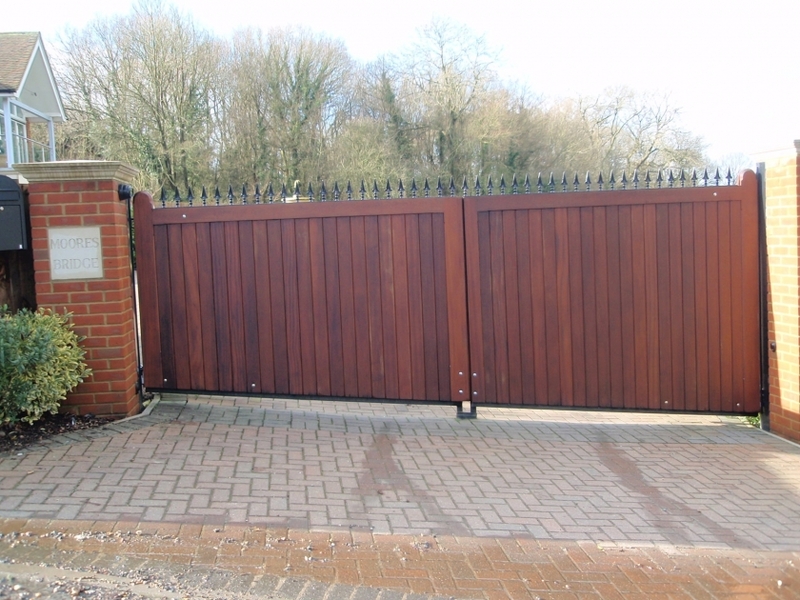 With a team of qualified and professional gate automation engineers based in Essex, we are well placed to install and maintain any type of electric gate in London, Essex, Kent, Surrey, Hertfordshire, Suffolk and Cambridgeshire. 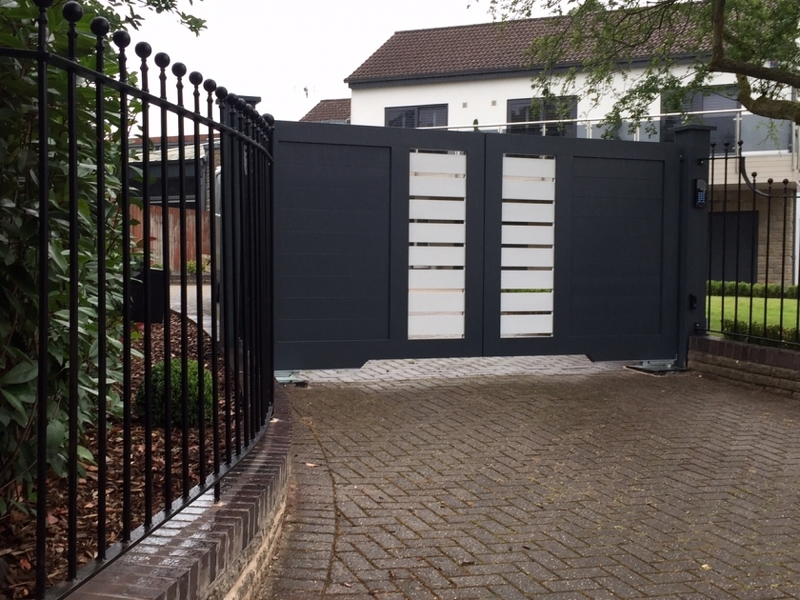 At Premier Gate Automation Ltd, we work closely with you to create the electric gates best suited to your needs and which will sit excellently within the appearance of your home and garden. We handcraft all of our gates and railings. 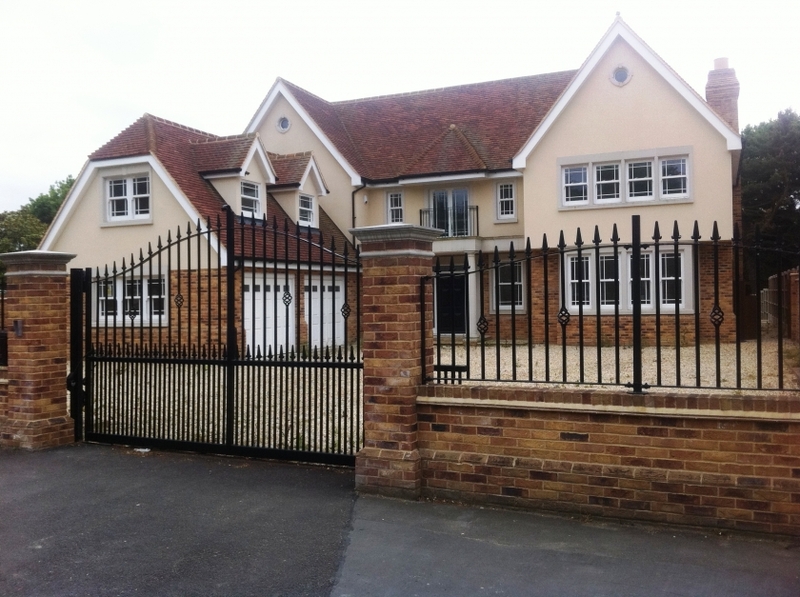 For that reason our automatic gates are bespoke and fabricated to order, to suit your specific requirements. 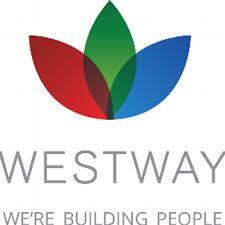 So the material, design and style of the gate is entirely up to you. 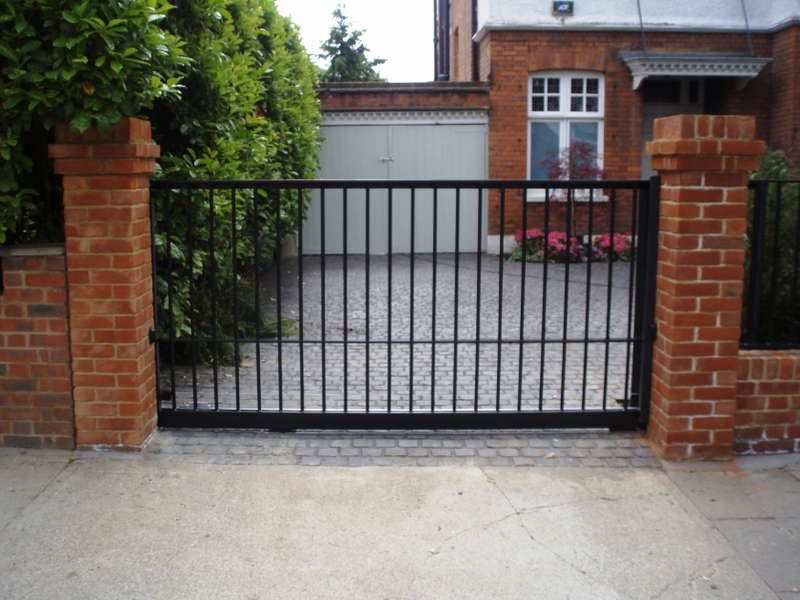 Furthermore, all of our entrance driveway electric gates are suitable for automating. 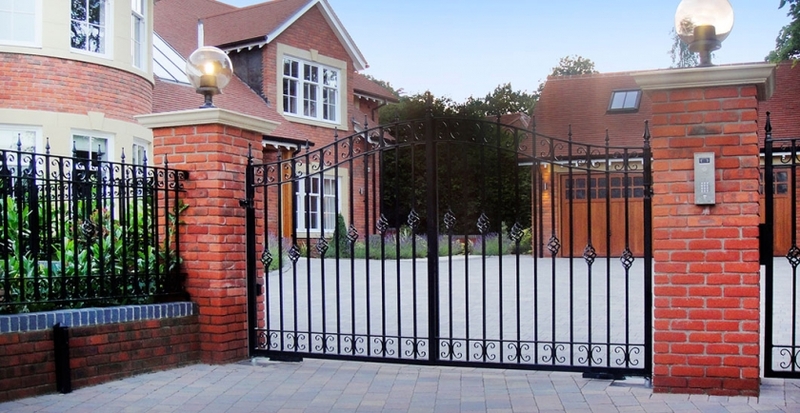 We produce high quality, unique electric gate designs to suit the particular property and customer’s taste. Because we have over forty years’ experience within the electric gate industry, we have the skills and expertise to advise you. You may like one of our popular high quality electric gate designs or one of our gates in our gate gallery. 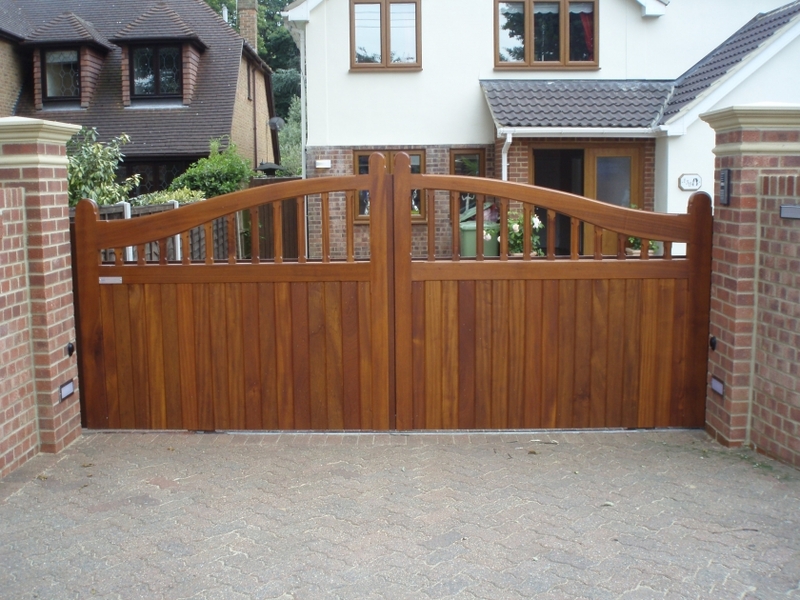 Alternatively, we can create an bespoke design for electric gates which will be unique to you. So if you have seen a photo of a gate you like online, or perhaps you like a friend or neighbour’s gate or would like to design your own electric gate, we can make it for you. We consider no task impossible. Furthermore we can produce CAD drawings for you to see the electric gates before we manufacture. All designs can be adapted and customised to suit your requirements, as a result any electric gate can be swing or sliding and all are available in falling curve top, a rising curve top or straight top. Our prices for electric driveway gate systems start from £6,500 to £12,000 plus VAT. 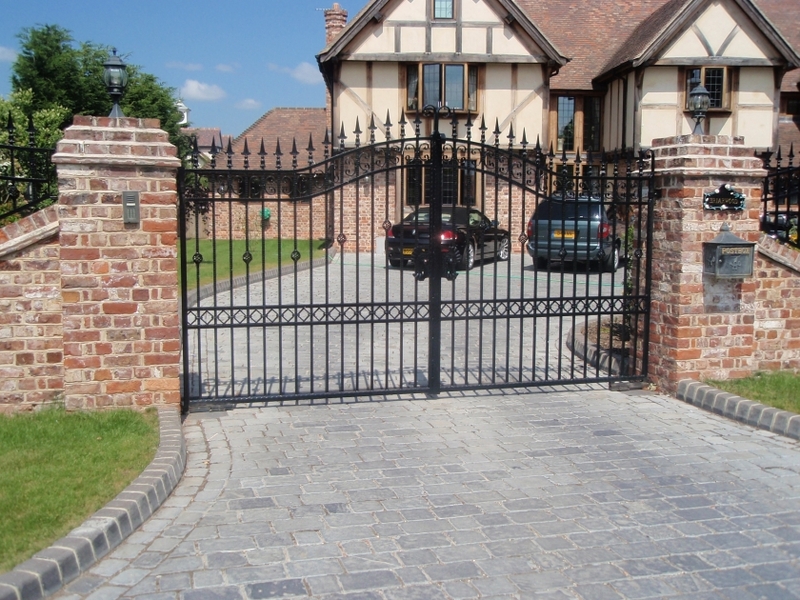 Planning your driveway entrance will involve much more than just choosing the design and material of your gates. You also need to think about whether you would like a swing gate or sliding gate. The main factor which will influence what style of gate you can have will be the ground levels surrounding the entrance, and the available room around the entrance area. You need to consider practical matters such as vehicle movement/manoeuvering near the gate aperture (is the gate opening wide enough?) and where vehicles will park and/or turn relative to the gate. The sliding gate is most popular where space is restricted. 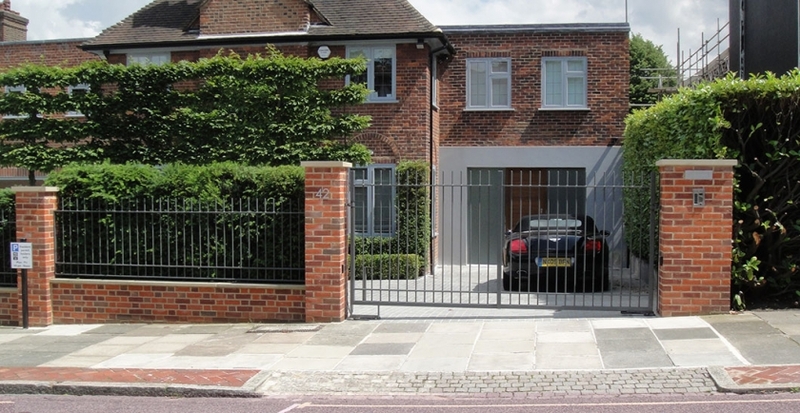 A sliding gate leaves the full length of the driveway usable for parking vehicles. Sliding gates will work across an upward sloping driveway where a pair of swing gates would not open inwards. When closed, the gate offers better resistance to being forced than a pair of swing gates and therefore higher security. Sliding gates are very robust, and are also useful in areas where high winds are common. 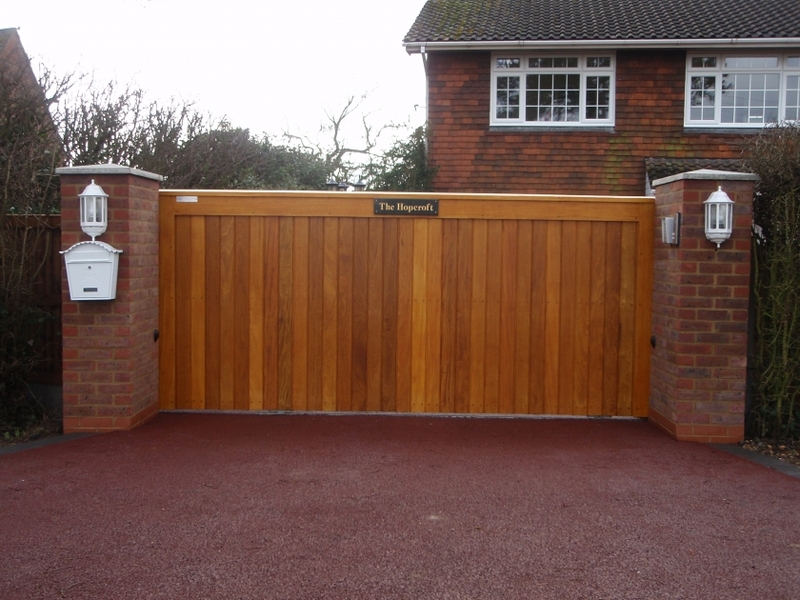 Alternatively, the cantilever system offers the same benefits as a sliding gate with the additional advantage of allowing less disruption within existing driveways. The cantilever design means the gate is free to slide regardless of the terrain and is suitable if the drive is not level across the opening. 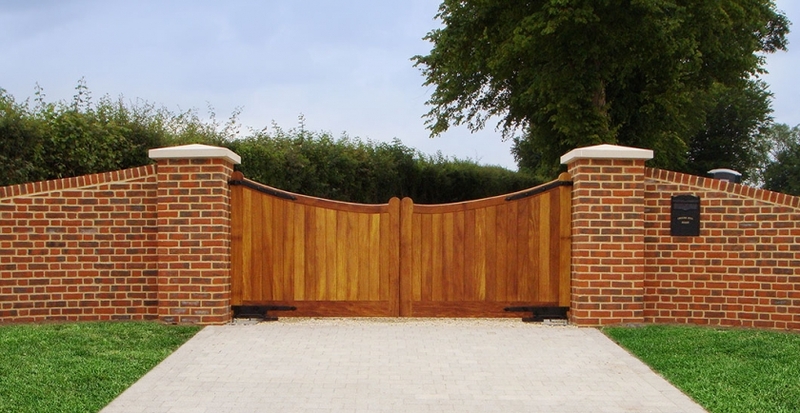 The swing driveway gates are generally the most popular and classic type of gate. 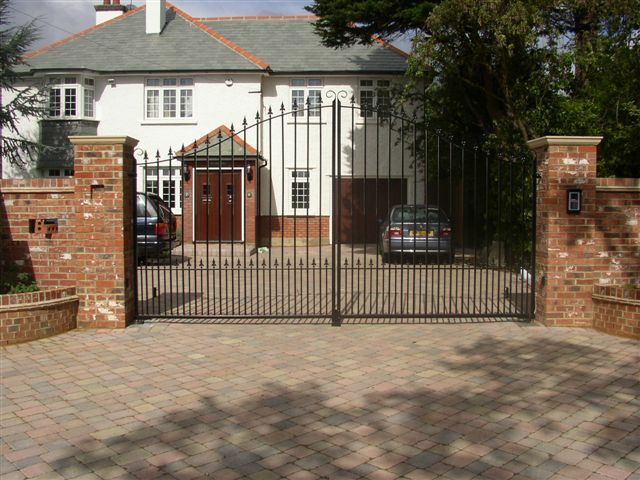 Aesthetically the swing gates are very pleasing and largely used for properties with a level ground area. Swing gates also work when there is enough room between the entrance and the property to accommodate the fully-open gate leaf(s). All designs will be generated on CAD by our in house designer for your approval, or for planning permission, before we fabricate. And all can be customised to suit your requirements.